Torpedoed direct below the command tower by U-81 off Gibraltar, a severe list causing cumulative flooding on the starboard side which choked the boiler uptakes and stopped Ark Royal in the water. 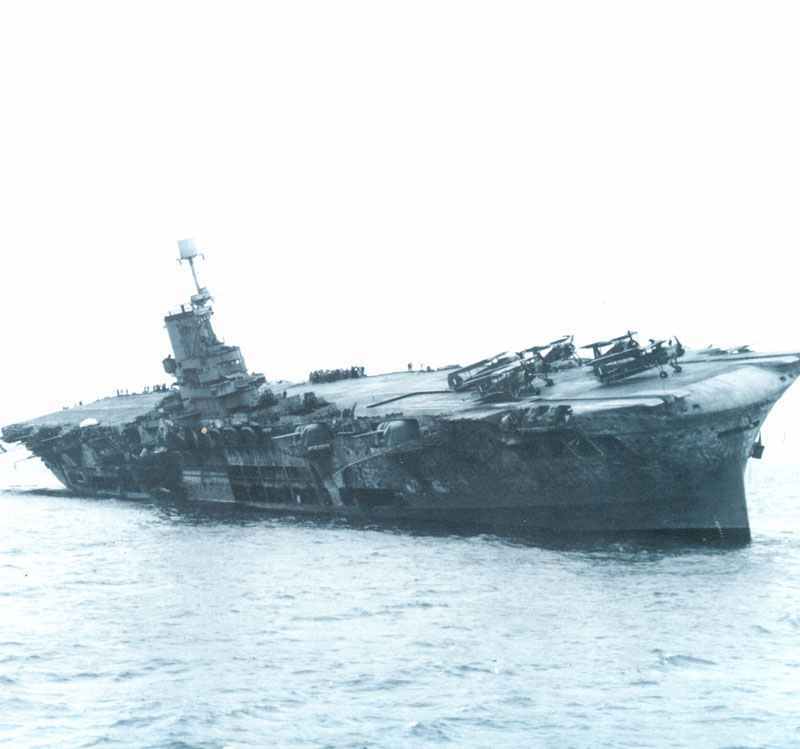 She eventually capsized and sank only 25 sm off Gibraltar. Mediterranean: HMS ARK ROYAL TORPEDOED by U-boat U-81; despite all efforts to save her she sinks, November 14, only 40 km east of Gibraltar. Operation Barbarossa: Germans and Rumanian troops make unsuccessful attempt to take Sebastopol by storm.